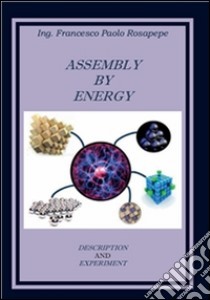 The introduction in the scientific landscape of the 21st century of assembly by pressure opens up new technological frontiers and proposes possible advanced applications in both aerospace and terrestrial fields. The assembly to pressure tests the principles of the AP, the potential difference, which is useful to a variety of purposes, and the basic principle of Assemblage by Energy, and explains how it is especially exploitable for moving objects, and be used as alternative principle for the primary and Earth and space propulsion at very high speeds. This type of assembly can be a new method to product materials and other things Also However and in a habitat without gravity. It can be a right method to produce objects in aerospace, but also on the world surface. It’s very fast and can assemble great structures in few time. It is the future of assembly.